Fewer than half of Americans are aware that some major lifestyle factors can affect their cancer risk, a new survey suggests. Instead, many people worry about cancer-causing claims that aren't backed by scientific evidence -- such as stress or hormones in foods, according to the survey done by the American Institute for Cancer Research (AICR). "About half of cancer deaths in the U.S. could be prevented through lifestyle choices -- like not smoking, eating a healthy diet, getting regular exercise, and maintaining a healthy weight," said Alice Bender, associate director of nutrition programs for the AICR. But based on the new survey, many Americans don't realize that. 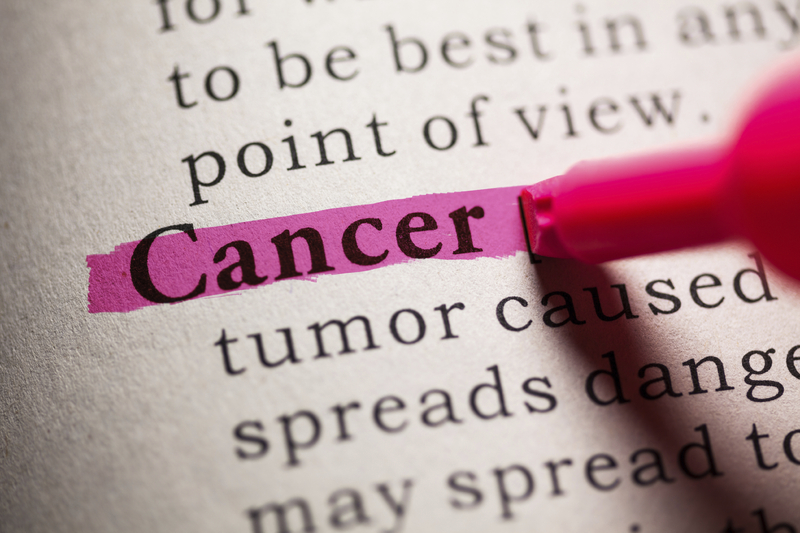 The survey results were released Wednesday to coincide with World Cancer Day, and experts said they highlight a troubling lack of public awareness. Among over 1,100 U.S. adults polled, only a minority were aware of key lifestyle risk factors for cancer -- including obesity, physical inactivity and diets high in red meat or low in fruits and vegetables. More Americans, it seems, are worried about purported risk factors that have little to no scientific evidence to back them up, according to the survey. Between 54 percent and 62 percent of survey respondents believed that psychological stress, hormones in beef, genetically modified foods, and "food additives" raise people's cancer risk. Meanwhile, just over half believed artificial sweeteners cause cancer -- which was up by 11 percentage points, versus the same AICR survey done in 2013. Those beliefs likely reflect popular wisdom, according to Colleen Doyle, managing director of the Healthy Eating, Active Living Environments program for the American Cancer Society. "There is no good evidence that artificial sweeteners raise cancer risk, but people have heard that they do," Doyle said. "So they'll avoid sweeteners, but not worry about the cheeseburger they're eating -- even though there's convincing evidence linking red and processed meats to colon cancer." So where are Americans getting their information about cancer? This survey did not ask that question, but Bender said that TV and other media are likely sources. And headlines do get confusing, both she and Doyle said. People may see news stories about individual studies finding a link -- or no link -- between a lifestyle factor and a given type of cancer. But in science, Doyle noted, no single study is the final word: It's the whole body of evidence that matters. Groups such as the American Cancer Society, the AICR and government health agencies look at the overall evidence and come up with reports and recommendations, Doyle explained. Bender made the same point. "If you just look at headlines about individual studies, you'll be confused," she said. Complicating matters, cancer is not one disease -- and the risk factors for the various forms differ, Doyle noted. However, lifestyle choices matter in a range of cancers, including colon, breast, lung, kidney and pancreatic cancers. Some of the survey results were encouraging, according to Bender. Most respondents knew that tobacco and excessive sun exposure can lead to cancer, for example. On the other hand, about 10 percent fewer people in 2015 were aware that diets low in fruits and vegetables are linked to elevated risks of certain cancers compared to a 2009 AICR survey. "That's alarming," Bender said. "Diets with a lot of plant-based foods have many health benefits." In fact, she noted, all of the measures that can lower cancer risk have wide-ranging benefits. "They also lower your risks of diseases like type 2 diabetes and heart disease," Bender said. "Plus, they just help you feel better." Healthy lifestyle choices are no guarantee, Doyle pointed out. "You can do all the 'right' things and, unfortunately, still develop cancer," she said. "But," she added, "there are very real steps you can take every day to reduce your risk." Bender agreed. "This is an empowering message," she said. "The risk of developing cancer is not completely out of your control."